Primrose 513-M - Lubrication Specialties, Inc.
A multi-grade gear oil that provides excellent lubrication for both the axle and transmission in summer and winter has long been desired by equipment manufacturers. The great success and public acceptance of multi-grade motor oils has emphasized the need for similar viscosity features in gear oils. The viscosity improvers that work so well in motor oils would shear out under the extreme pressures encountered in gears, resulting in severe viscosity loss. 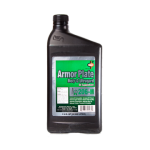 Armor Plate with Moly-D and Flex-O-Weight XHP Gear Lubricants are recommended for heavy duty hypoid and spiral bevel axles, manual transmissions, transfer cases or power dividers, limited slip differentials, automotive and industrial worm gears, and for axles using phosphate treated gears where MIL-L-2105D products are specified. 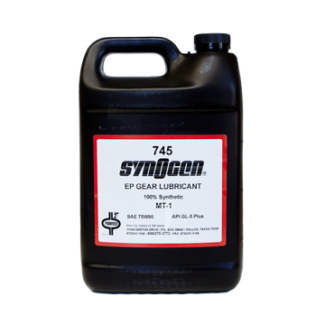 512-M and 512 are designed for use where either SAE 80W, 90, or 80W-90 weight gear lubricant is recommended. The SAE weight recommended for any particular piece of equipment is found in the owners manual or Check Chart. 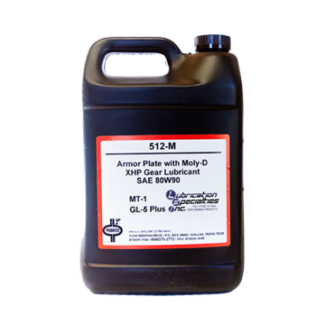 These products will blend readily with any approved petroleum base gear lubricant of the same SAE weight; however, it delivers optimum performance when used exclusively in any gear box or application to which it is introduced.